It will take you less time to make this dish than it takes to sing the National Carrot Day anthem. 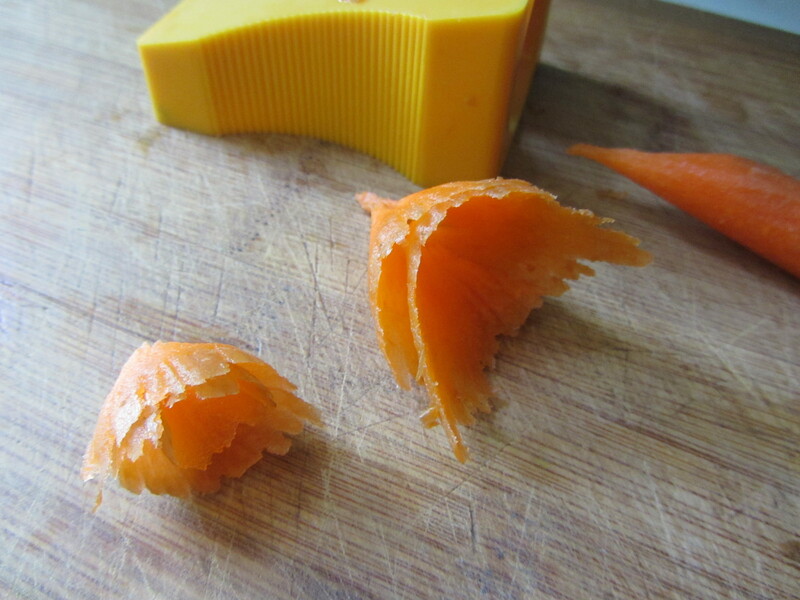 Process Trim the ends of the carrot and scrape off any tiny hairs, brown or rough spots on its skin. Use a carrot cucumber sharpener peeler gadget that looks and works like a pencil sharpener to create pieces like pencil shavings. 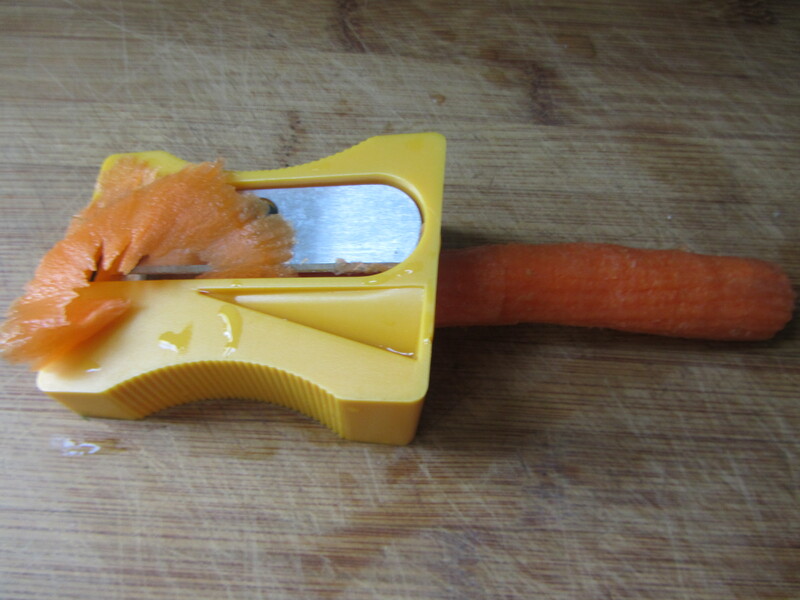 Place the point of the carrot in the sharpener. 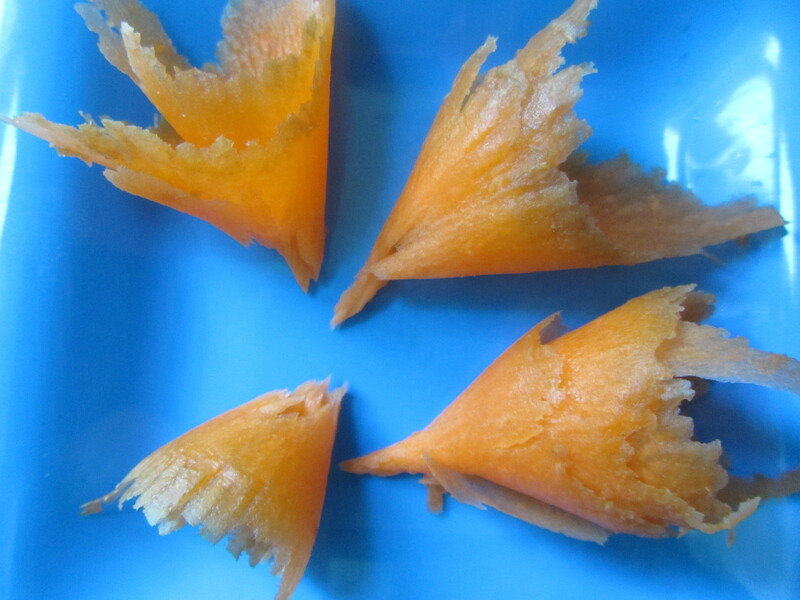 To create one carrot flower, turn the carrot in the sharpener about 7 times; then break it off. The fan-shaped peel will naturally coil up into a horn-shaped “flower”. Make four (or more) of them and place them on a plate. 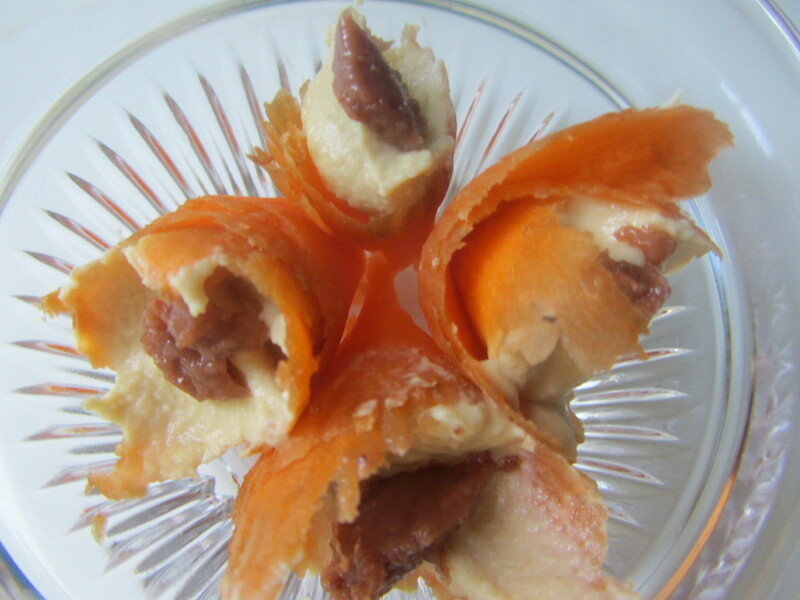 Fill each cone-shaped “flower” with a half Tablespoon of hummus. 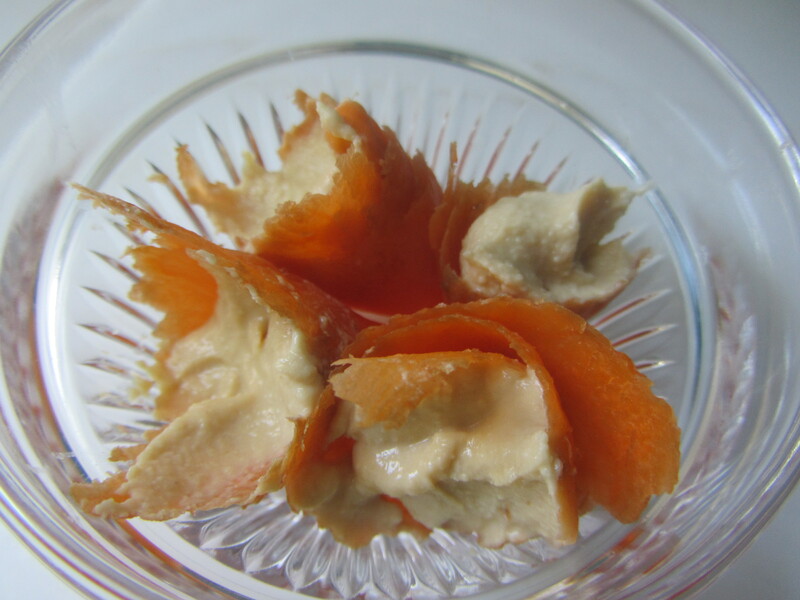 If desired, top with a quarter teaspoon of ume plum paste. Serve.